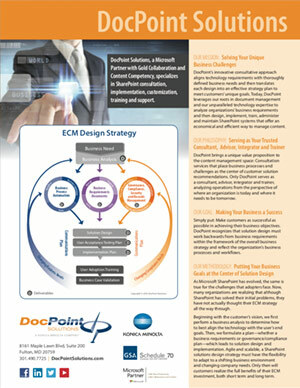 Headquartered in Fulton, Maryland, DocPoint Solutions, a Konica Minolta company, specializes in implementing, training and supporting Microsoft SharePoint and its integrated suite of products. The company provides comprehensive consultative services and support to a wide range of federal, state and local governments as well as private and commercial enterprises. 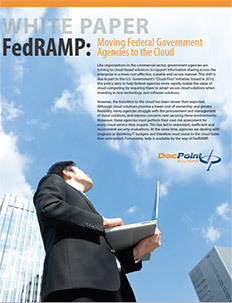 Over the past few years, DocPoint noticed an emerging Federal government requirement to upgrade their SharePoint environments. In addition, more agencies are actively choosing to move from on-premise SharePoint environments to hybrid or cloud environments (including Office 365). With new versions of SharePoint being introduced at an increasing rate, DocPoint needed to find a cost-effective solution that would help its Federal clients quickly migrate their existing SharePoint environments to the new platform. In addition, many of DocPoint’s clients needed a migration tool that could handle migrating Nintex workflows, as well as documents. 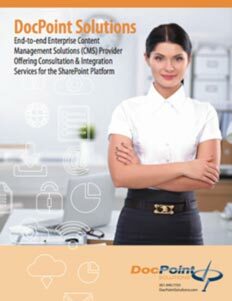 After researching different migration tools on the market, DocPoint chose to partner with Sharegate, which provides simple to use software that allows organizations to migrate their business to SharePoint or Office 365, to gain visibility over their environments and to keep control of their users and content. Since Sharegate’s desktop tool does not require installation on a server to perform the migration, DocPoint and its clients are able to set it up within minutes. In addition, Sharegate is currently the preferred certified Nintex migration tool on the market. Besides its ease of use, the licensing pricing model with unlimited data migration ensures agencies receive a high return on their investment. To further speed up migration projects, DocPoint added Sharegate to its GSA schedule to facilitate a smooth procurement process for Federal agencies. DocPoint Solutions, a Konica Minolta company, is a Microsoft Gold Certified Partner specializing in implementing, training and supporting Microsoft SharePoint and its integrated suite of products. By combining state-of-the-art solutions with document management expertise and innovative approaches to systems design and integration, DocPoint helps federal, state and local governments as well as private and commercial enterprises attain new levels of effectiveness and productivity. 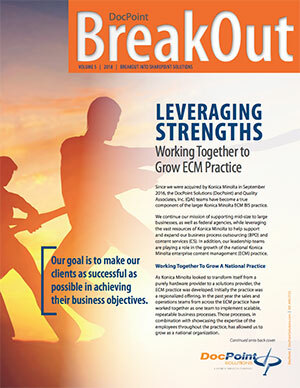 For more information, please call 301.490.7725 or visit docpointsolutions.com. At Sharegate, we aim to change the way organizations manage their Digital Workplace. We provide simple to use software that allows them to get the most value out of Office 365 and SharePoint. Our tools help organizations from across the globe move their business to the cloud, gain visibility over their environments, and keep control of their users and content. For more information, en.share-gate.com.